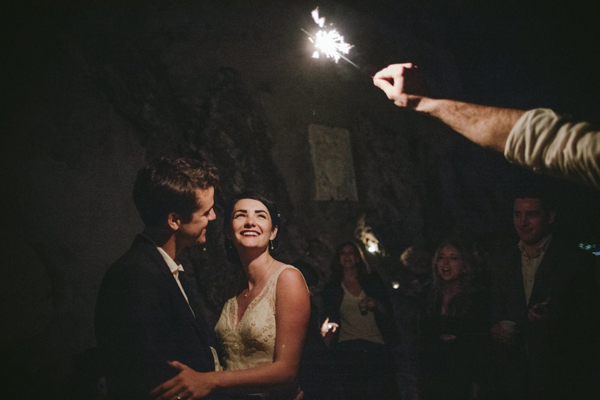 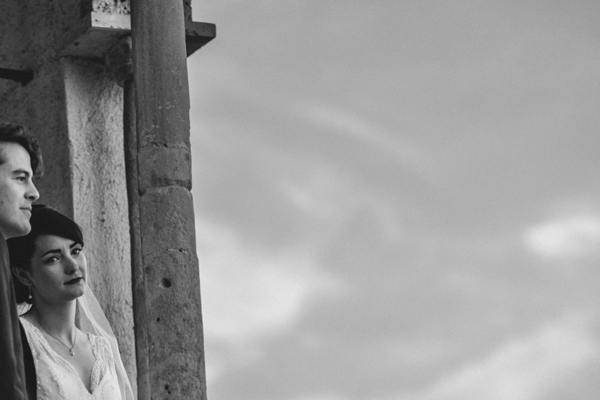 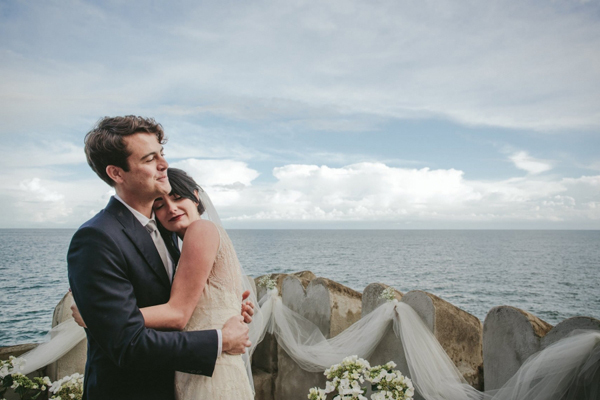 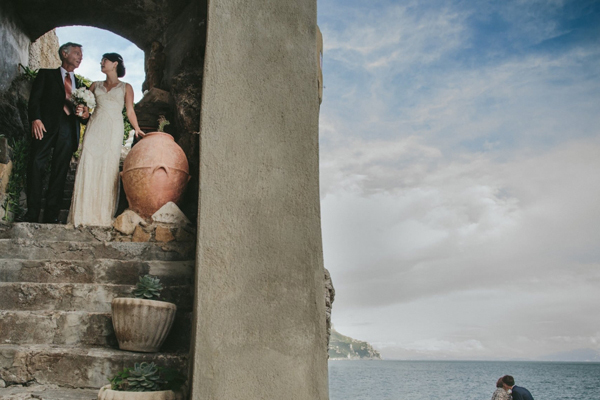 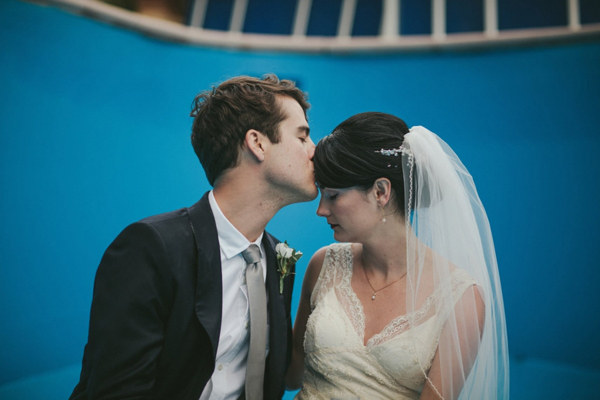 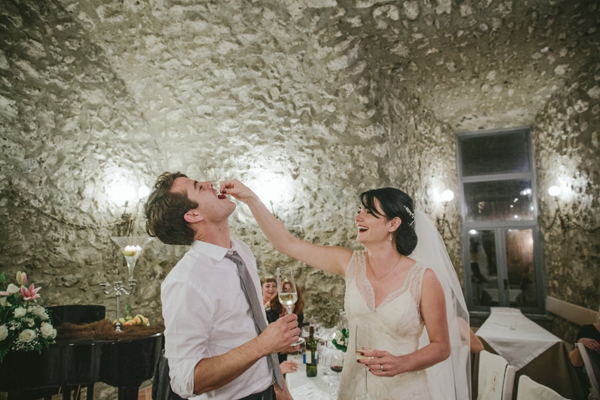 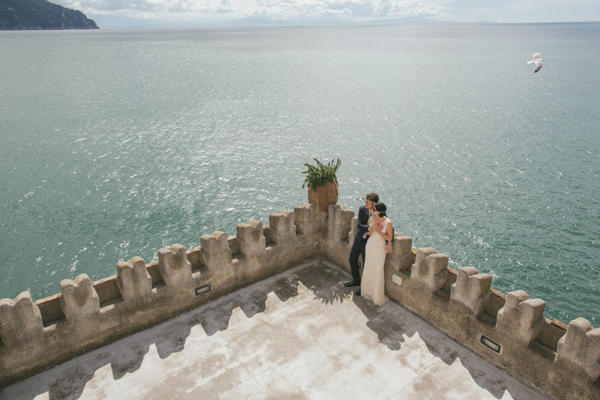 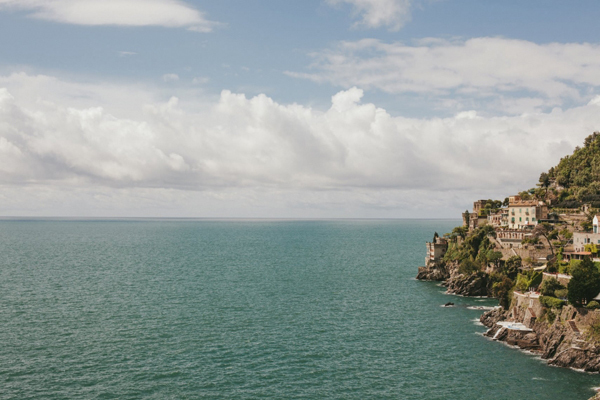 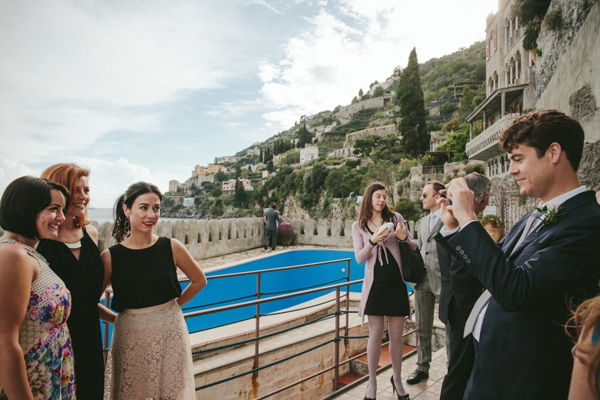 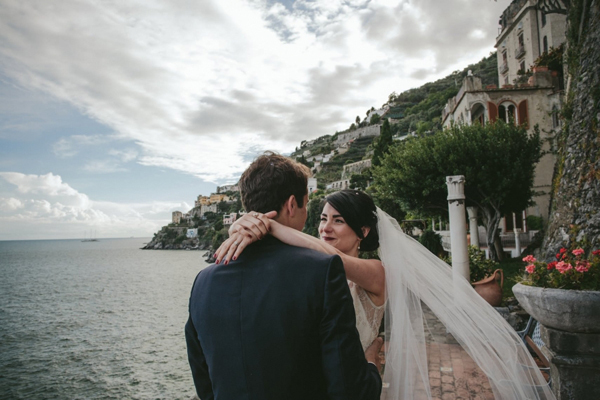 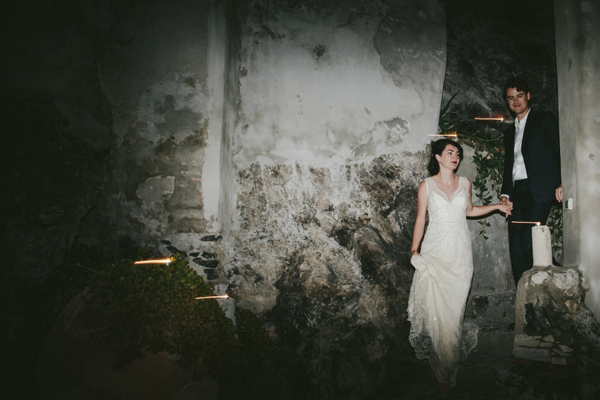 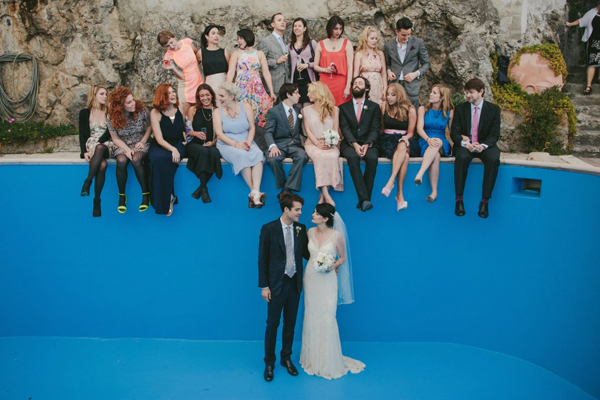 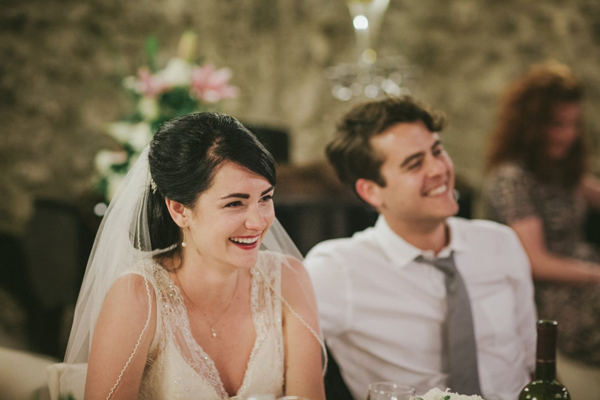 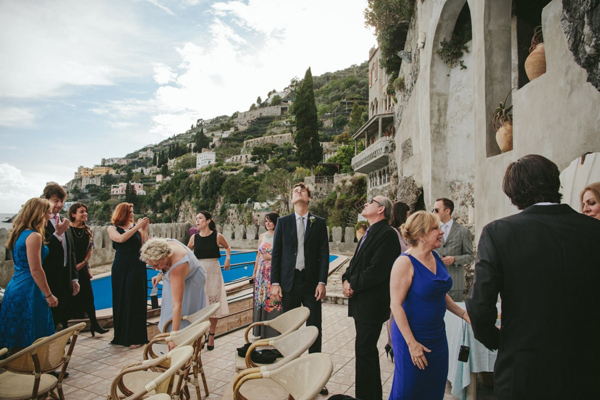 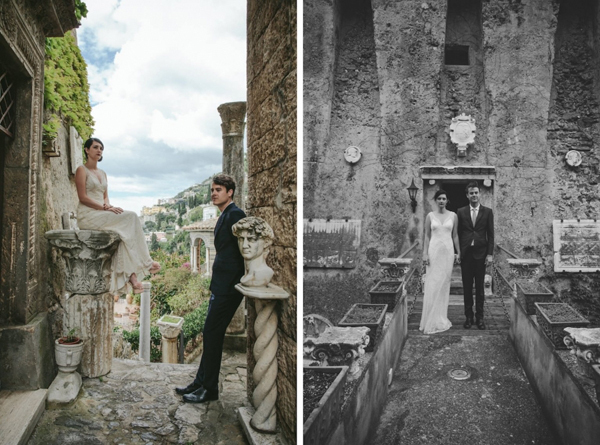 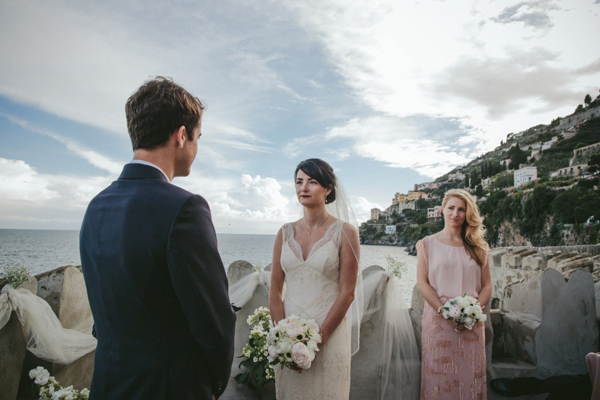 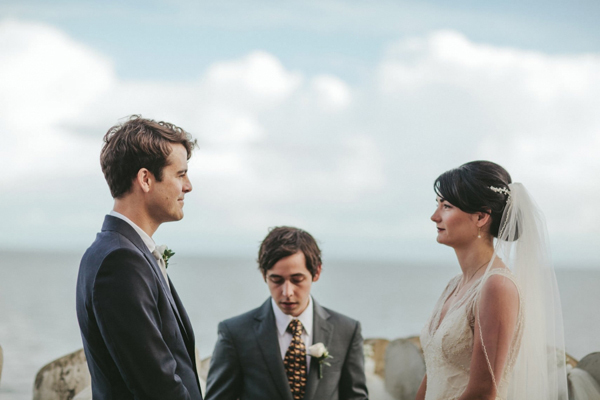 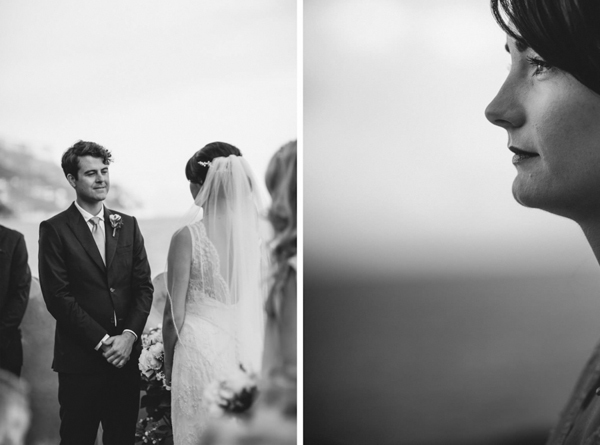 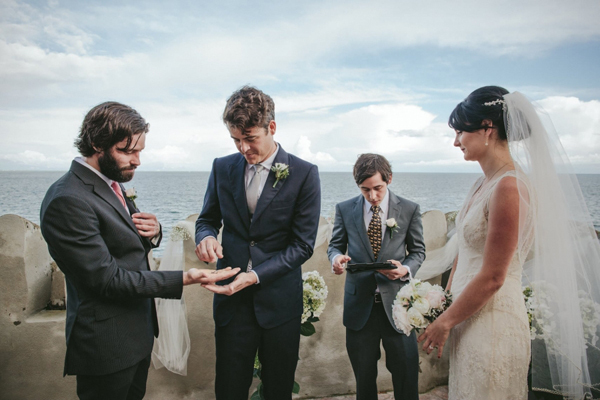 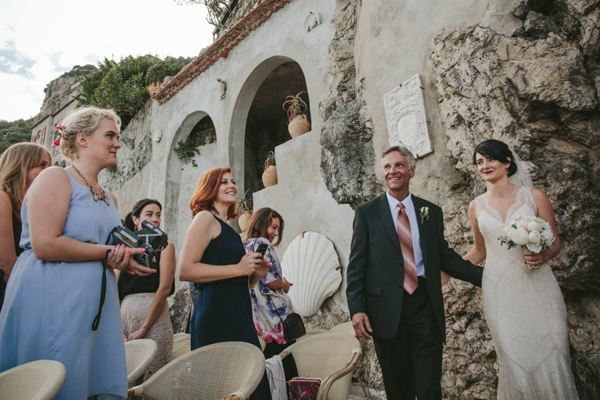 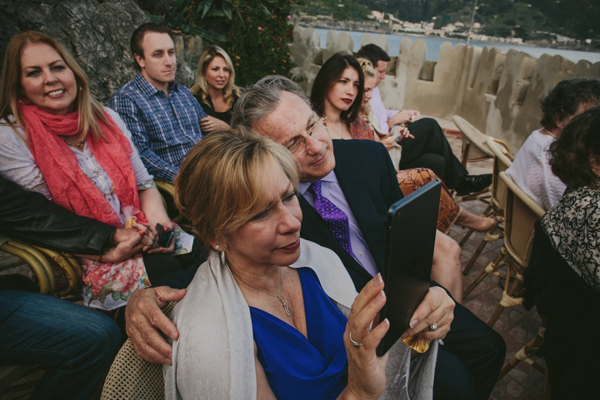 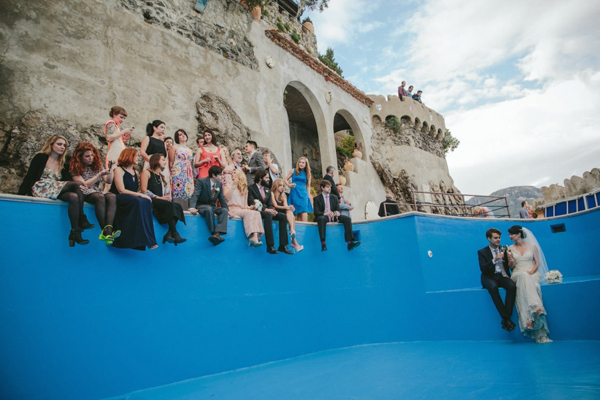 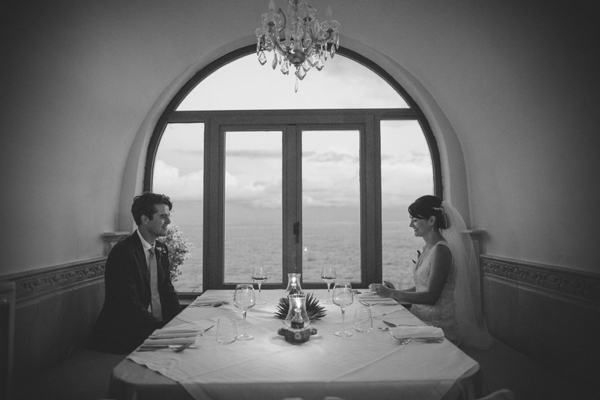 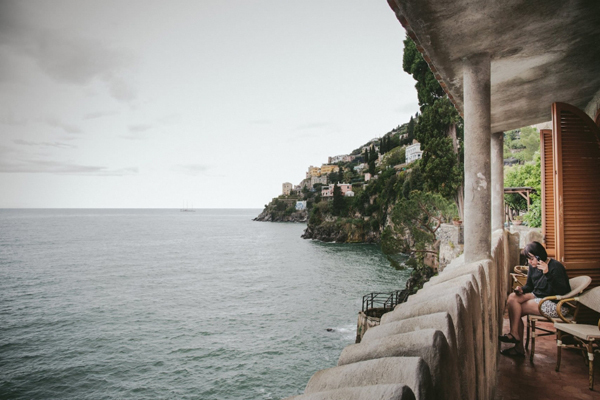 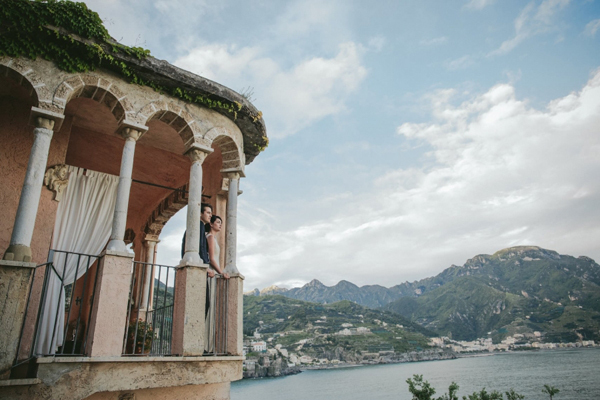 Morgan and Gus had the most beautiful and romantic Amalfi Coast wedding. 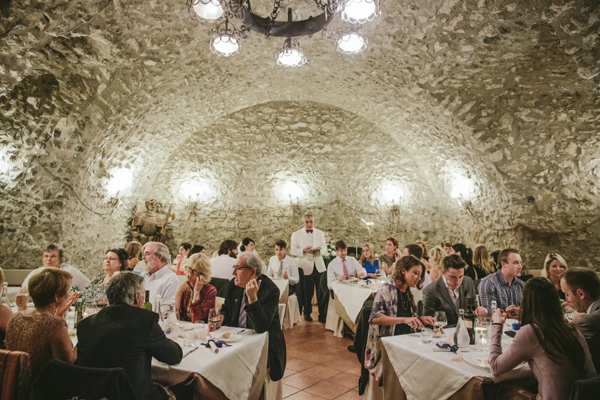 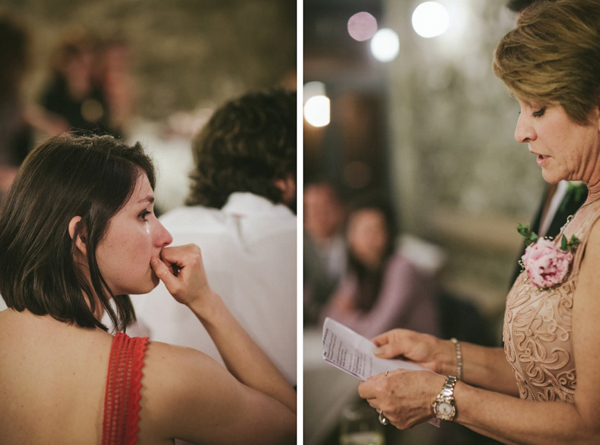 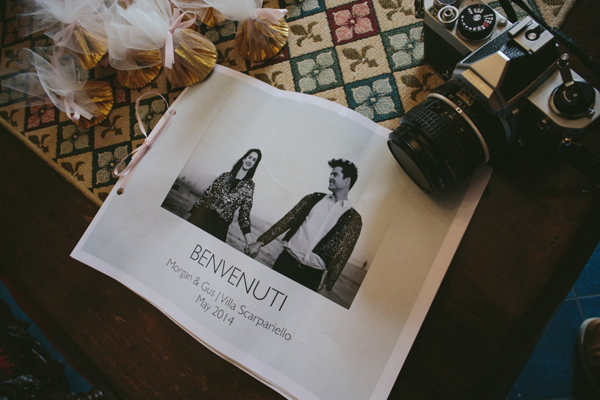 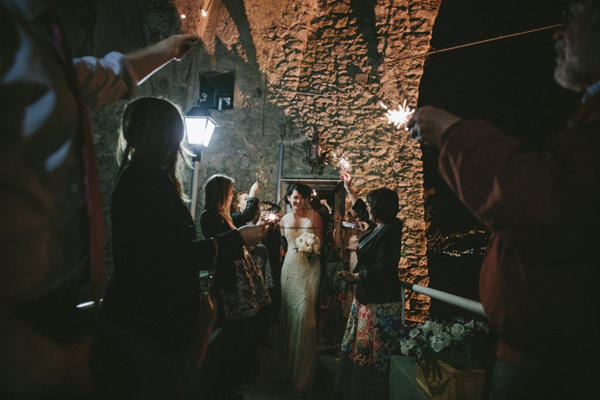 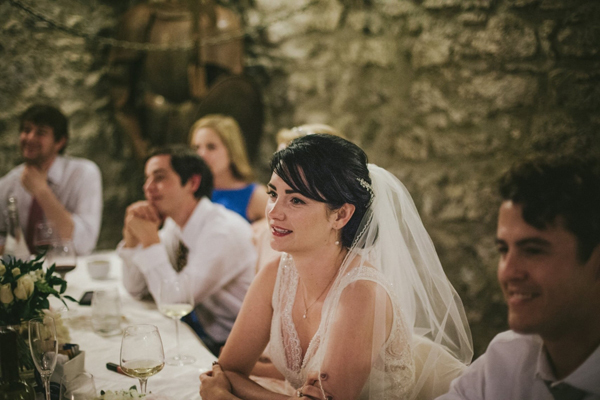 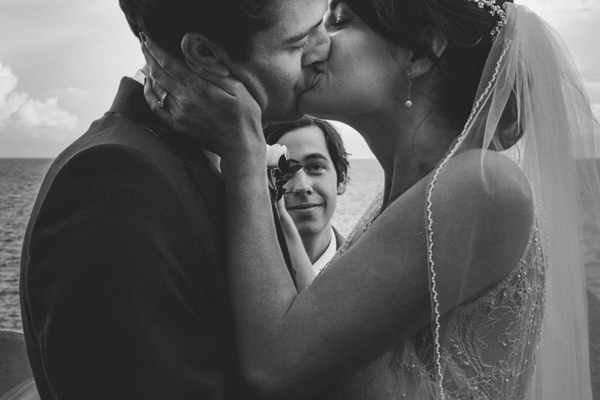 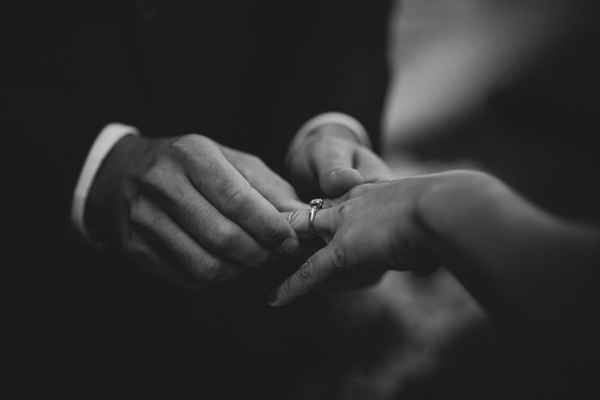 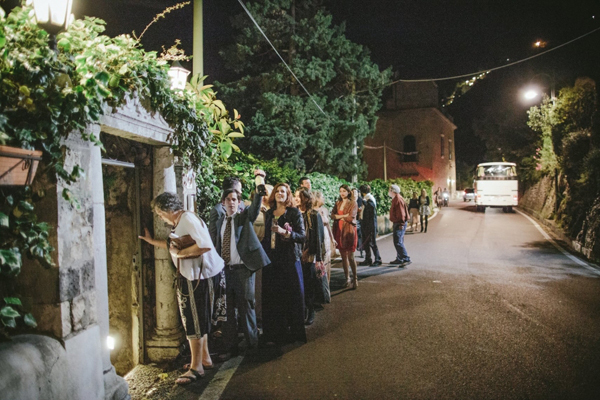 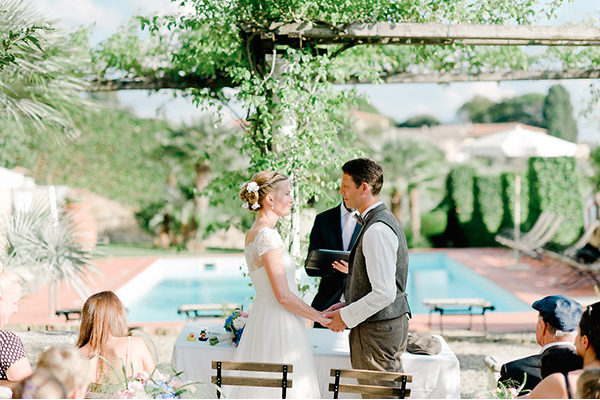 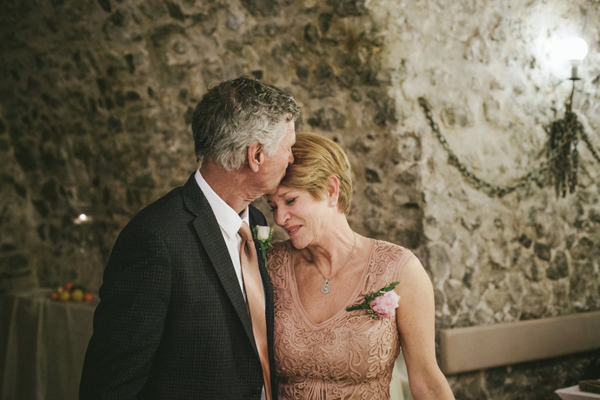 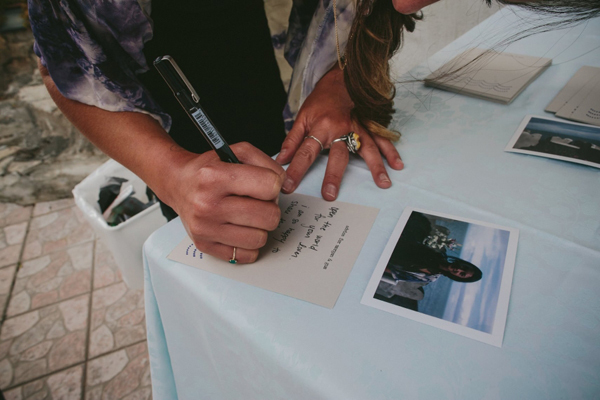 A destination wedding in Italy that their friends and family will always remember dearly. 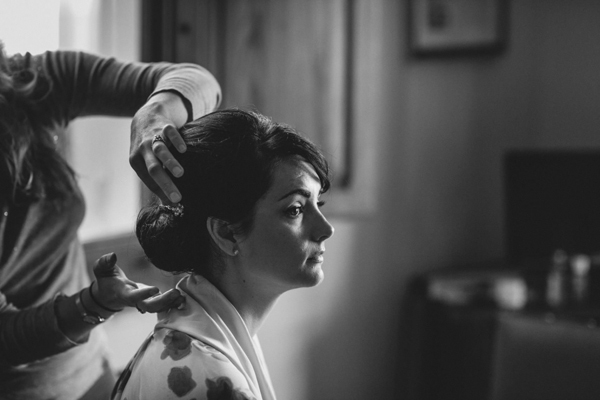 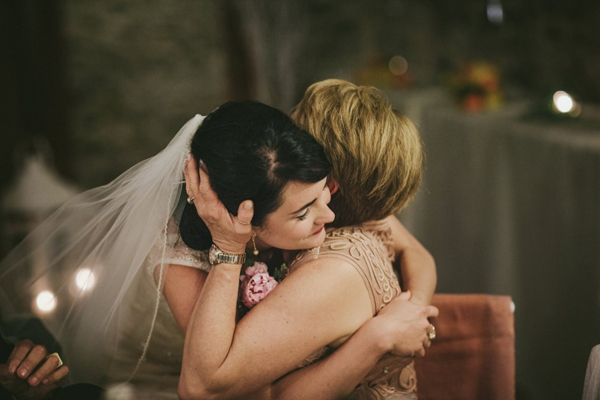 The bride got prepared for her wedding day in the living room of the Villa Scarpariello Relais and as mentions “It was really fun… even my mother brought her stuff to get ready with us!” Morgan’s sister and maid of honor and her dear friends did her bridal makeup and hair. 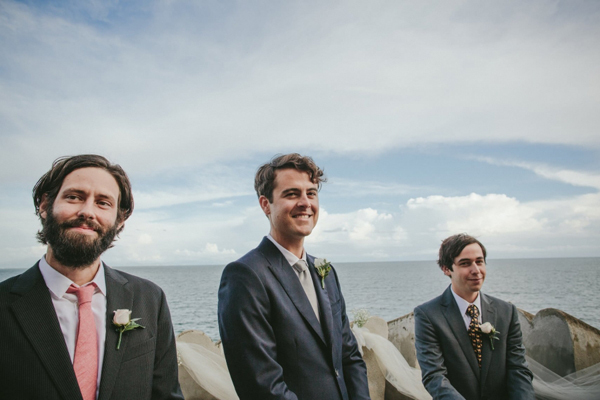 They all did an amazing job. 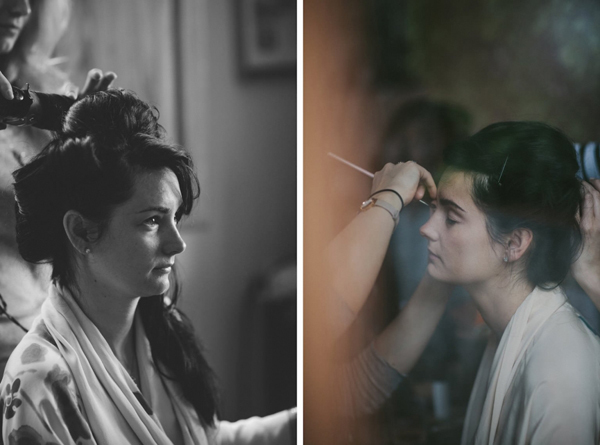 Morgan looked so pretty! 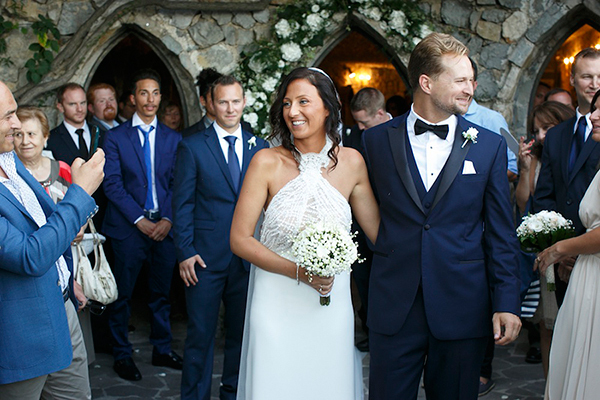 Morgan’s wedding dress, “Gemma”, was an exquisite creation by designer Rebecca Schoneveld. 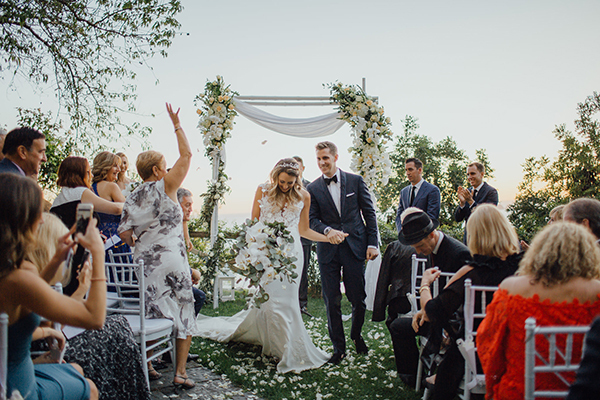 The finely detailed gown has a sleeveless beaded lace shell that is worn over a spaghetti strap, deep-v bias gown cut in rich silk crepe. 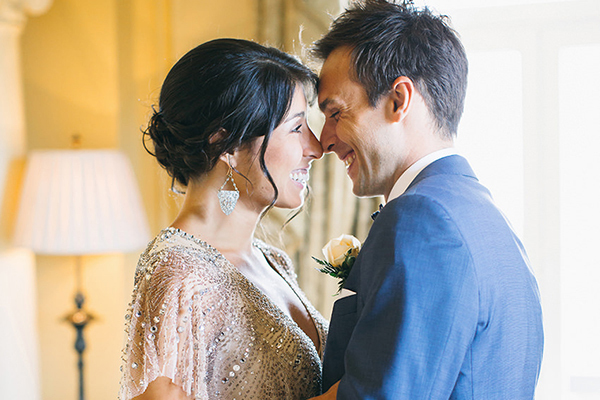 The dress truly captures a feel of Old Hollywood Glamour. 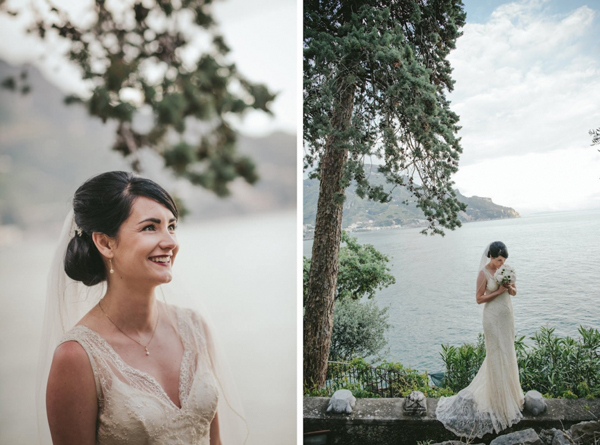 Rebecca Schoneveld wedding dresses are known to “emphasize a woman’s natural beauty, making her not just look beautiful but feel utterly gorgeous too”.